In search of expert Hybrid service near Penngrove? The best hybrid repair is found at RPM Automotive Services in Rohnert Park. Hybrid vehicles are great due to their reduced fuel dependence, regenerative braking, cleaner energy, smaller engines, higher resale value, and so much more. We service a wide variety of hybrids from makes such as Toyota, Honda, Ford, Kia, Chevrolet, Hyundai, Nissan, Audi, BMW, Infiniti and more! Your hybrid requires specialized care. All our technicians are ASE Certified in hybrid repair. Plus, we are constantly getting new equipment and partaking in ongoing education to ensure we stay on top of the new tools and technologies hybrids require. For the best “hybrid service near me”, look no further than RPM Automotive Services. Since 1982 we have been providing top of the line service to all our customers. 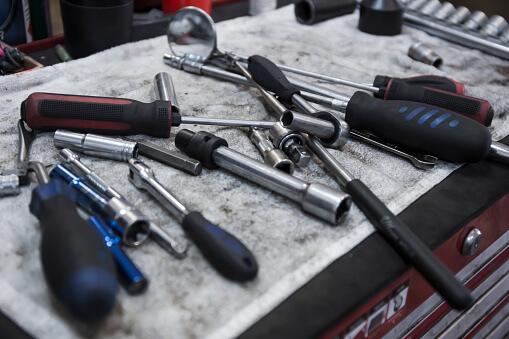 Experience the RPM difference yourself by visiting our automotive repair facility. Check out this review from one of our loyal customers, Nathan S. 5-Stars. Our office is open for hybrid service near Penngrove from 8 a.m. to 5 p.m. Monday through Friday. Rely on your hybrid vehicle to get to work or run other errands? Take advantage of our fleet of loaner vehicles. Please request at the time of booking your appointment to make sure one is available. Or, request our complimentary shuttle service to take you to and from where you need to go within our service area. For expert hybrid care you can count on give us a call now at (707) 800-4586 or schedule an appointment online by clicking here.